We do all Artwork Design for FREE !! 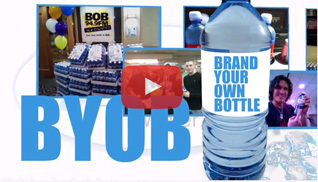 Filson Water - BYOB - Brand your own bottle has been the leading supplier of custom labeled bottled water for over a decade. 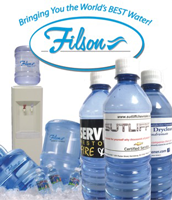 Because Filson Water is so diverse with being a true bottler of 3 and 5 gallon bottles, a large coffee service for the office, bottling private label case water nationally, manufacturing DI Water ( surgery water for most hospitals in Pa.) and we also manufacture and sell all types and sizes of water treatments systems nationally. Because of this, we are able to control the entire process and offer some of the lowest prices in the industry yet deliver the highest quality product on every order. Our graphic designers will work closely with you to design a high quality label with no restriction on colors, and there is no charge for our high quality design by our professionals. Our personalized bottles are recyclable and are BPA free, heavy, 24 gram 16.9oz(1/2 liter), blue or clear bottle with a nice large water proof, pressure sensitive, full color custom label. 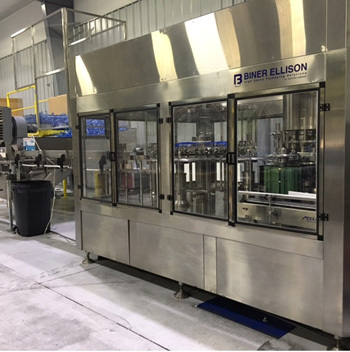 Our state of the art bottling equipment can handle orders for the small, medium and large wholesale accounts. 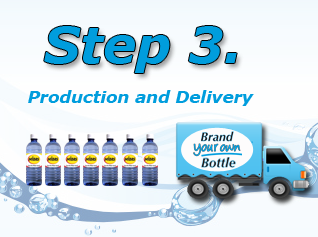 Whether you are looking for a full truckload of private label bottled water, or only 30 cases of branded water for an event, or anything in between, we stand ready to produce your order at extremely competitive prices with 5 to 7 day turnaround. 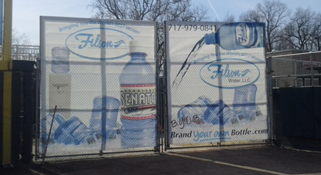 Filson Water is known for bringing you the worlds best tasting water and now with your company logo(s) and info. On the bottle. 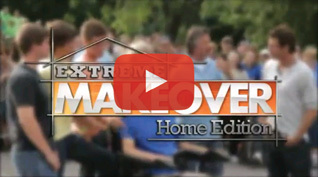 You Don�t yet have a company logo or design? No problem! Filson Water / BYOB - Brand Your own bottle in-house graphics department is ready to design your logo and design ideas from conception to printing. The best things in life are free�and our professional label design services are no exception. Again, our large company billboard labels are Waterproof Heavy Laminate, pressure sensitive and can withstand hours in ice and water with zero breakdown. A great looking water bottle customized with your logo or design is just one reason to choose Filson Water - BYOB Brand Your Own Bottle for your private labeled bottled water. Another reason is the purity of our water. 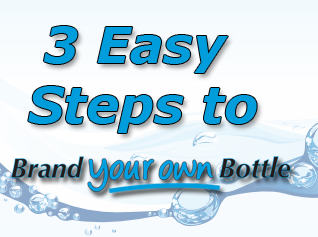 We manufacture our own state of the art purification systems, which includes our carbon tanks, water softeners, reverse osmosis systems, 3 - micro screen filters, an ultra light system and we add ozonation twice to keep our water fresh. Filson Water's TDS ( total dissolved solids) is a consistent 1 part per million, making our water the purest available in the USA and beyond. Our normal turn around time on new orders is 5 to 7 days from the time you approve your final proof of your custom/personalized/private label billboard but we can process a new order in 2 or 3 business days if needed. 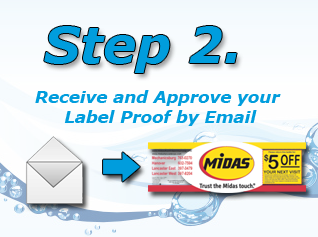 For our repeat customers, we can stock your labels such that reorders ship in only 1-3 days depending on your location nationally. Many times orders ship the same day they are received. Nobody turns around custom water orders faster than Filson Water -BYOB- Brand Your Own Bottle. Great News!!!! 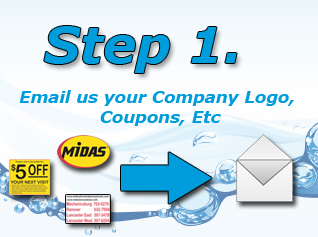 We can ship your skid(s) of private label/ custom labeled bottled water anywhere within the US. Because of the large volume of business all trucking companies want our out going so we are always able to negotiate extremely low carrier rates with many different trucking companies such as UPS, Estes Express, YCR etc... and can offer extremely competitive pricing to customers located throughout the United States. 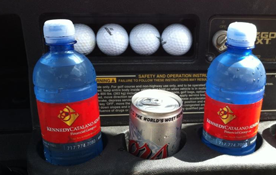 We are Your only Choice for Custom labeled Bottled Water.